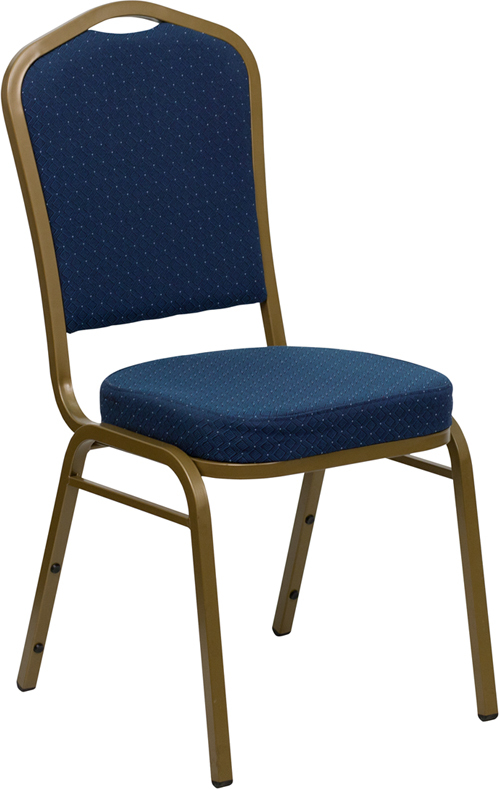 This navy blue patterned chair will add style to your banquet or event room. This chair features a gold powder coated frame. The fabric has a diamond design with white specs at the corners.